Today it's happy dance time as the wonderful Darren Laws at Caffeine Nights has told me that Vile City will be published on May 11th, 2017. 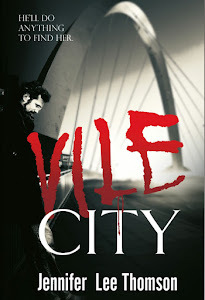 It's the first novel featuring tough Glasgow detective Duncan Waddell who is fast starting to despise the city he loves because of all the horrors he sees. I'm over the moon that my novel will finally see the light of day. It's been a long and winding road for Vile City. 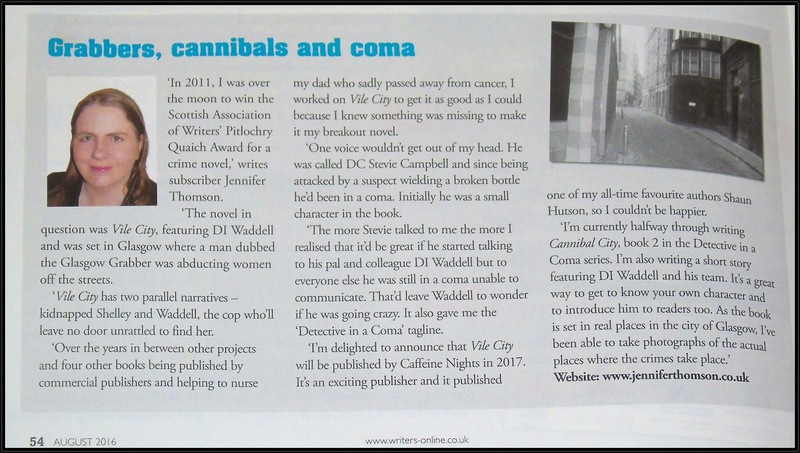 In 2013, I won the Scottish Association of Writers award for a novel and was delighted to win the Pitlochry Quaich ( a quaich is a Scottish drinking cup). The battle to find a publisher began and over the years I improved Vile city. I've dubbed the book the first in the Detective in a Coma series. When I was writing the book and then re-writing it, one character wouldn't stop talking to me. A peripheral character called Stevie Campbell. He was a colleague and friend of Duncan Waddell and he'd been in a coma since he'd been attacked by a suspect and left bleeding to death. Tony Soprano spoke to his therapist, Waddell speaks to his friend who's in a coma. What's surprising is that Stevie talks back to him, but only when no one else is in the room. Has Waddell gone mad? Or is Stevie playing mind games? You can decided when you read Vile City when it comes out on May 11th, 2017. 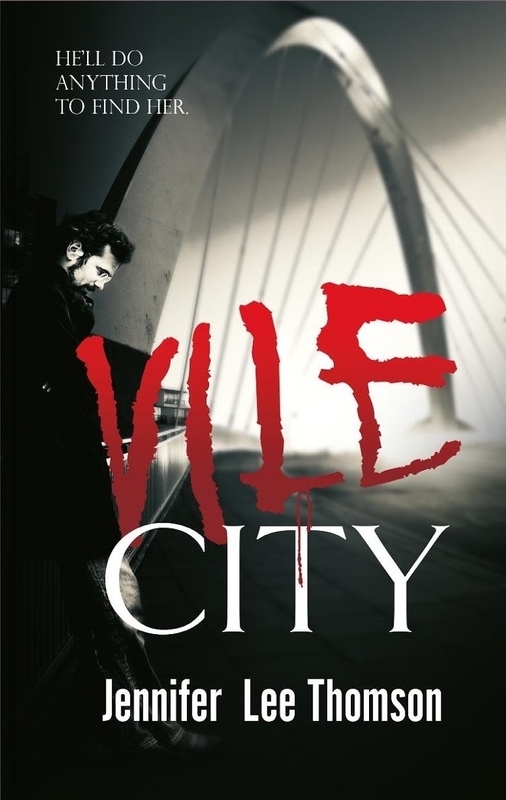 You can read an extract from Vile City here. 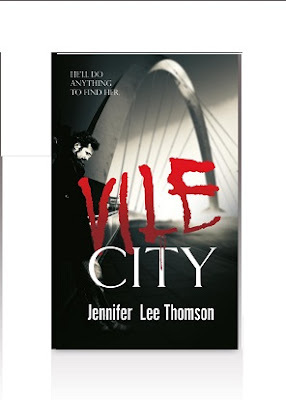 Update - Vile City is now available to pre-order on Amazon. 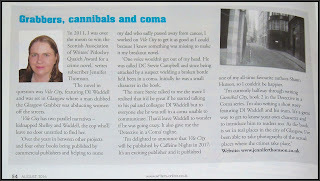 I was delighted to be featured in the latest Writing Magazine where I spoke about the origins of Vile City and in particular Stevie Campbell, the character who just wouldn't stop talking to me. If you're a writer I would recommend that you subscribe to this great magazine so you can hear about markets and opportunities. 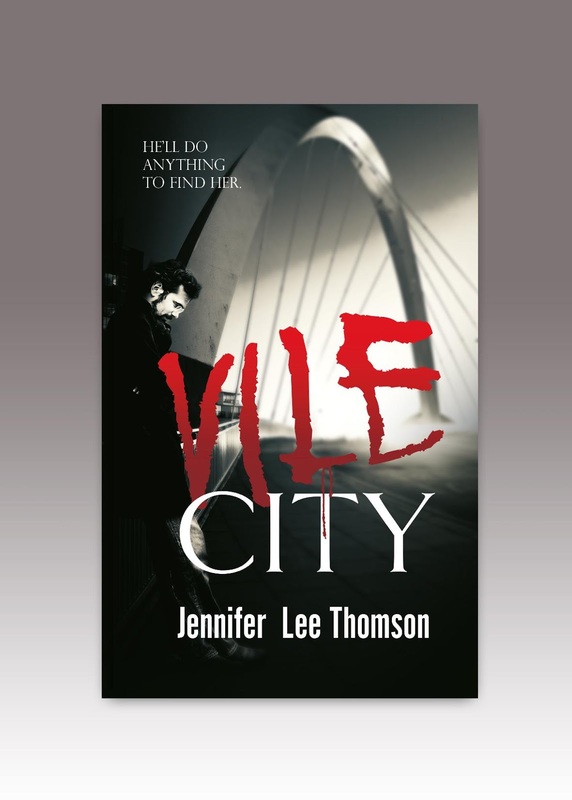 Vile City will be published in 2017 and will appear under my full name Jennifer Lee Thomson. Before my dad passed away after a long and courageous battle with cancer, he expressed some regret that I’d never used my middle name Lee in my writing as I’m named after his great-grandmother. 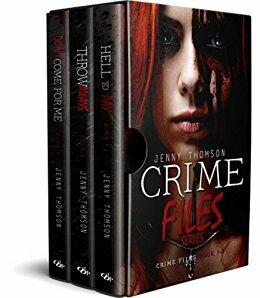 Three women have gone missing in the city he’s fast coming to despise, victims of the GLASGOW GRABBER, as their assailant has been dubbed by local hack and all round thorn in Waddell’s backside, Catriona Hastie. Shelley Craig is his latest victim, snatched as she and her boyfriend took a shortcut through Glasgow city centre. and her battle to make it home after she's kidnapped. 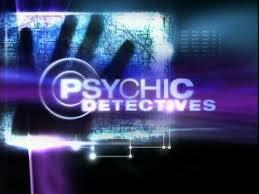 Like a lot of people I binge watch TV crime programmes with names like Deadly Intentions, Psychic Detectives and Snapped: Women Who Kill. I like the fact that in the majority of cases the victims get justice. And it never ceases to amaze me how the truth is stranger that fiction. I mean if I were to write about some of these life crimes in one of my books, people would say they were too far fetched. If you don't want your partner to murder you, don't get a life insurance policy. If you must get one DO NOT make them the beneficiary. Does your husband hunt? Have a gun collection? Be wary, one day you could be their prey. If they know how to gut an animal, gutting you won't be a problem. Just because your husband or wife are churchgoers/Sunday school teachers doesn't mean they won't cheat on you or even try to kill you. 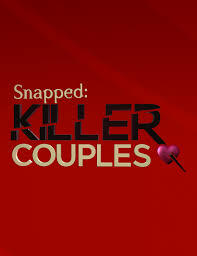 If you suspect your partner is going to kill you, they probably are. Trust your intuition. If you suspect your partner is going to kill you, report your suspicions to the police. At least then when he does kill you the police will know who to question. 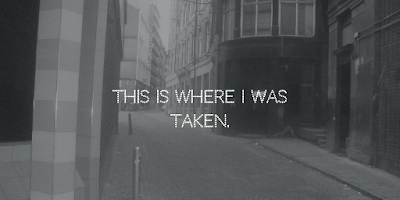 It used to come as the sound of your manuscript in a brown envelope thudding as it hit your doormat. Now its more likely to come as an email which in a way makes it worse because until you've read it there's this tiny glimmer of hope that its going to be a yes and that in a minute you will be dancing around the rooming yelling, "Ya, beauty." (I'm Scottish and that's how I celebrate). You read the email and usually the phrase you get is "it's not for us" or "thanks for sending this to us but you weren't successful on this occasion." Your head dips, your heart sinks and all the other cliches happen. So, how do you get through this crushing sense of failure? First off, don't see it as failure. Its usually someone's opinion - just one person. Do we all like the same things? Nope. So, why would we like the same books? 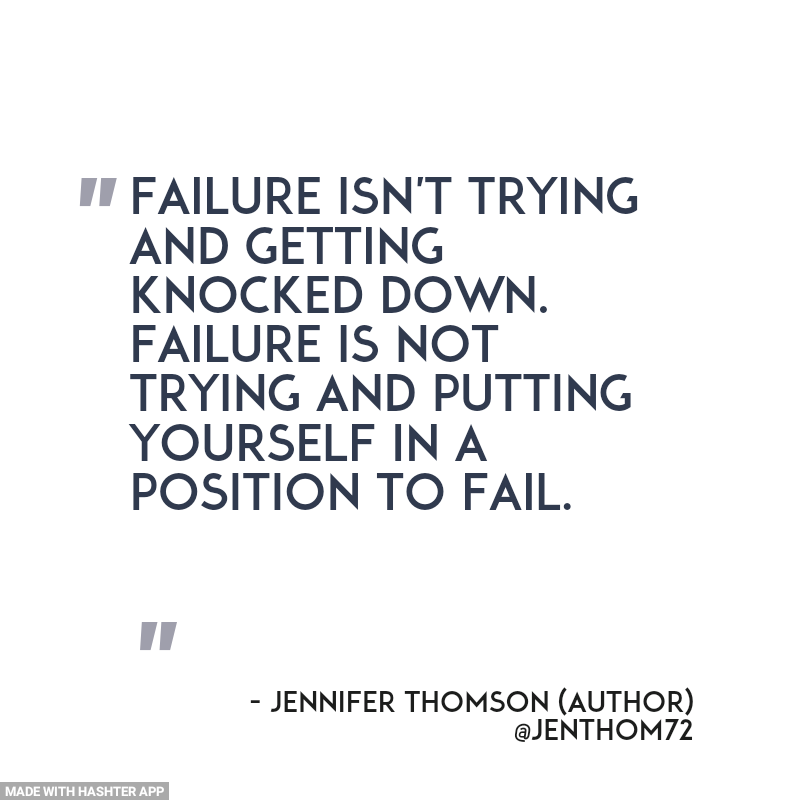 Besides, failure isn't trying and getting knocked down. 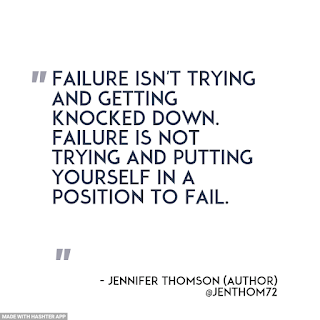 Failure is not trying and putting yourself in a position to fail. How many people do you know who say they're writing a book who never actually write a book? What else helps when you get that disappointing no? Well, I like to watch comedies. After yesterday's thumping disappointment I binge watched Parks and Recreation. Laughing away the tears helps. Chocolate also helps. Probably so does wine but I'm teetotal and it would be too easy to drown your sorrows. If you know when to stop, you go for it. Most importantly if you got any feedback at all treasure it. 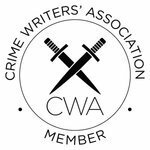 Publishers and agents don't say things they don't mean. My latest rejection said they liked the idea behind my submission. Be kind to yourself, folks. 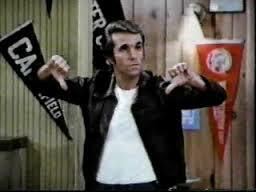 Remember the path to a writer's success is paved with rejection slips and emails. It shows you've been brave enough to get your work out there.